October 2016 Update - FedUp! Thanks to all followers who descended upon Washington to attend the FED UP Rally, National Press Club Reception and Hill Day educational briefing. 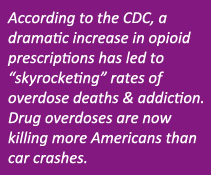 Only by aiming our voices at federal health and elected officials will we achieve the changes needed in federal policy and legislation to stem the tide of the opioid addiction epidemic. As many of our followers are aware, much of our advocacy focus this year has been to obtain adequate funding to meet the dramatic treatment gap in our nation. Many of you know that Congress passed an incomplete measure in the CARA bill. Many of the bill’s deficiencies will need to be re-addressed in the next session of Congress. Funding, even for the current bill is $7M now under a temporary funding measure and $37M for the entire bill once appropriators act after the November elections. Three alternatives, the President’s proposal to provide $920M to support the states in providing evidence-based treatment and two different emergency funding measures of over $600M, have been rejected on party lines. Only 1 in 834 are actually accessing the treatment they need. In 2016, federal spending will be nearly $4 trillion. Comparatively, the White House request for $920 million over two years is a drop in the bucket — yet it would be a dramatic exponential increase in needed treatment funding. Every day Congress ignores this funding need, means another 78 of our loved ones will lose their lives. Whether we are red team, blue team, conservative or progressive, we are all struggling with the pain and suffering from opioid use disorder and the horrific loss of life we are experiencing. Please continue to call out those members of Congress seeking our votes but not acting responsibly. Doing so is not partisan, it is compassion. This entry was posted in Advocacy Updates on October 1, 2016 by FedUp Rally.